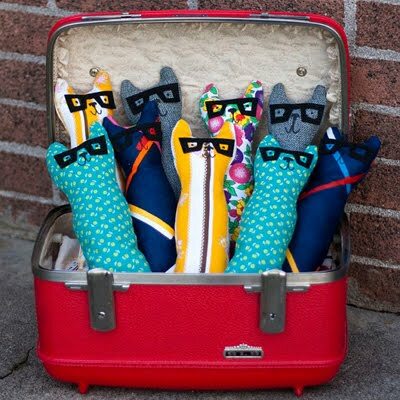 Catsparella: Whimsy Kitten Catnip Toy Set Giveaway Winner! Thank you to everyone who entered the "Whimsy Kitten Catnip Toy Set Giveaway!" I used Random.org to determine the winner, and it selected comment #138 belonging to chiefbunney, who wrote, "I WANT IT!!! :)) I've never won something before... *sob* CATNIP IS MY DRUG *meow* THX ;)"
It looks like your luck is changing, my furriend! Don't forget to stop by the Whimsy Kitten Etsy Shop or follow them on Facebook for more info on adopting an adorable plush cat or kitten of very your own!